Mini pendant heavily influenced by early 1900s functional lighting designs. 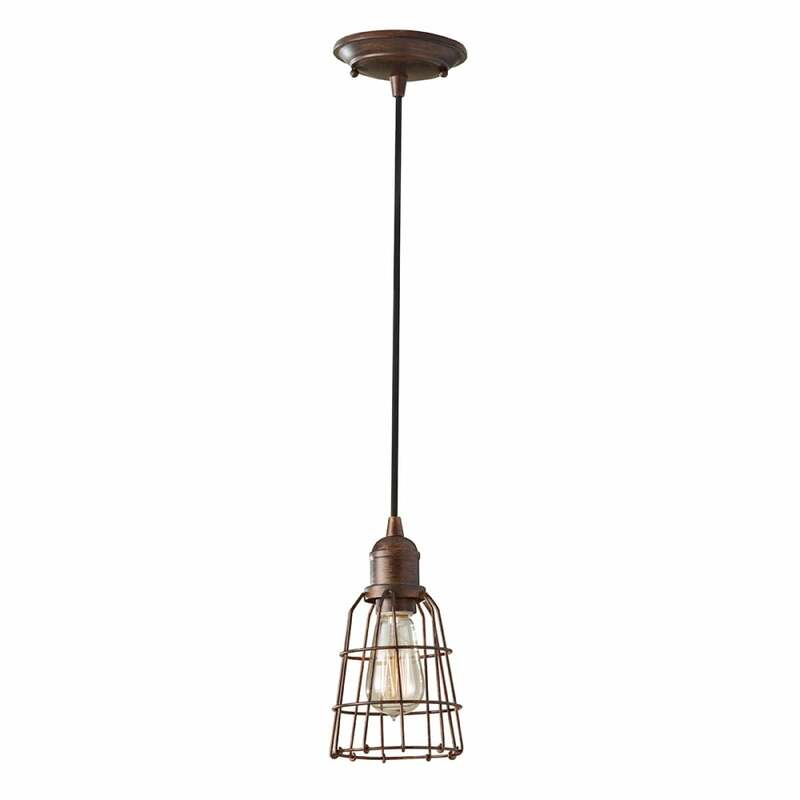 We love its industrial caged design look - ideal in a home or restaurant kitchen setting. In Antique Forged Iron with a Black Cord. Best effect with our vintage industrial lamps. View All Feiss for more information on Urban Renewal or view the complete Urban Renewal Collection. - Supplied with 4500mm of adjustable cord.